CALLING ALL ASIAN WOMEN WHO MEAN BUSINESS!!! We have an exclusive event for all you business ladies who are looking to take your business to the next level. AWMB are excited to announce that we have teamed up with the fabulous Angela Malik to host our next event at her new modern deli in West London. Angela Malik was born in Delhi, India and raised in Edinburgh, Scotland and is a chef and entrepreneur. She is the founder of the Angela Malik Modern Asian Deli in Acton and Ealing, London. After an early career as a chartered accountant, Angela began her culinary training at Leith’s School of Food & Wine in West London, followed by some inspirational work experience at top London restaurants including Bibendum, Vong and with chef Tom Kime. With a focus on quality teaching in an inspirational and fun environment, Angela has so far passed on her passion for food to thousands of students. Having decided to focus on developing her business in London, she opened her second site, Angela Malik’s Modern Asian Deli in Ealing. The Deli sees Angela’s unique brand of modern Brit-Asian cusine available for breakfast, lunch and dinner – to take out or eat in as well as another site for amateur and professional cookery classes. It is therefore with great delight that we host this event at Angela’s new deli where you will not only receive the opportunity to see her in cooking action, you will also be able to spend some quality time with her to find out about more about her inspirational business journey. 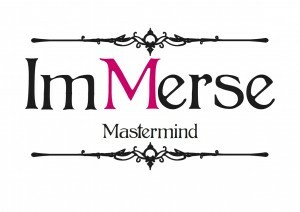 This is a preview of one of our mastermind programmes – Immerse where we help Asian Women take their business to the next level. This is an intimate and exclusive event to allow guests to make the most of their time with Angela. If you are looking for fresh ideas, and the opportunity to meet with and spend time with this successful chef and entrepreneur and network with other like minded business women to develop new collaborations, then this is an event you must not miss! Book your tickets to reserve your place, as once places are gone, they are gone.